As a Bupa Members First dental practice, we are able to offer our patients, who are Bupa health fund participants, a variety of exceptional benefits. Did you know you could be entitled to 60% – 100% back on most dental services (yearly limits apply). Bupa Members First is a fantastic way for you to get dental care for you and your family. 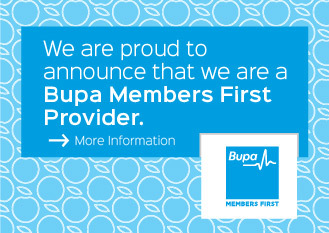 If you have any questions about Bupa Members First, we invite you to contact us for further information. If you’re searching for a new dentist, we invite you to contact Michelson’s Dental Surgery today on (03) 5721 8033.